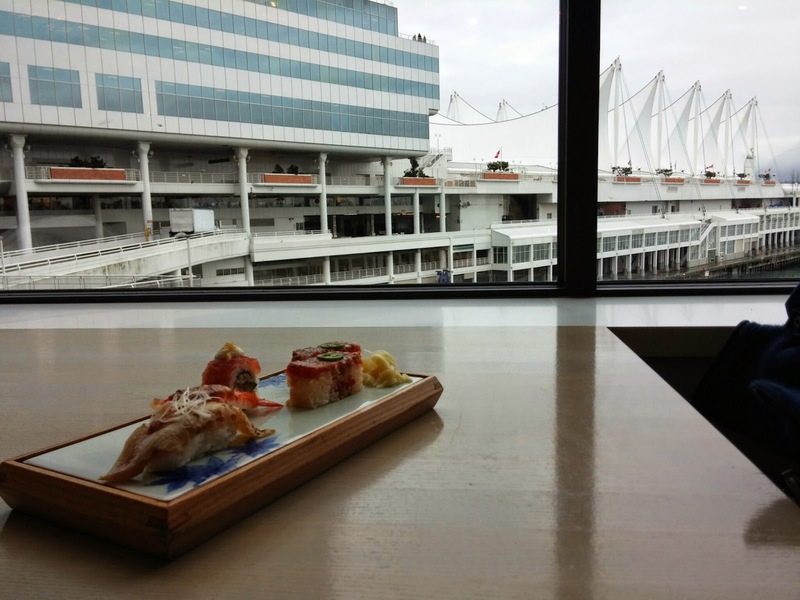 Miku is centrally located at Waterfront and boasts a great view of the Vancouver Harbour. 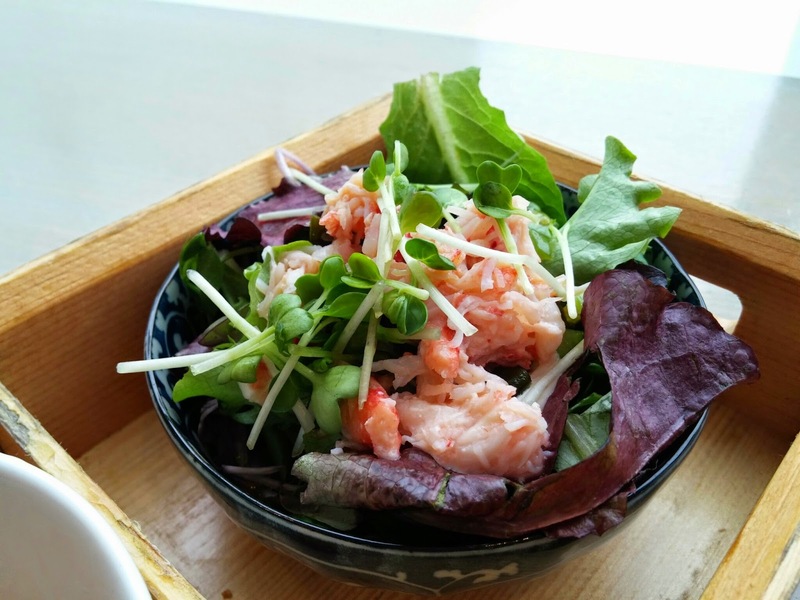 We went to try the Dine Out 2015 lunch menu ($28) at Miku and it definitely lived up to the amazing reviews online. Although the salad was simple, it was one of my favourites of the four because it was fresh and lightly dressed. 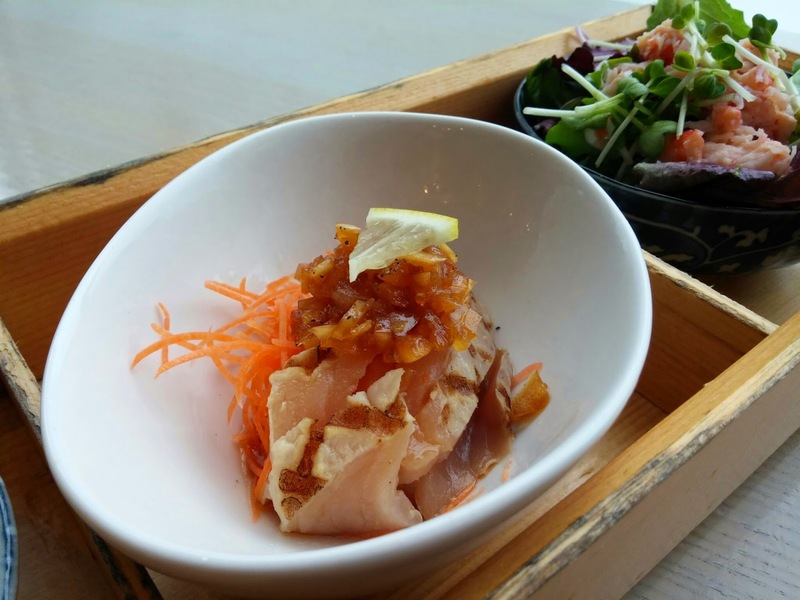 The pieces of aburi albacore tuna cleansed the palate for the next flavourful appetizer. 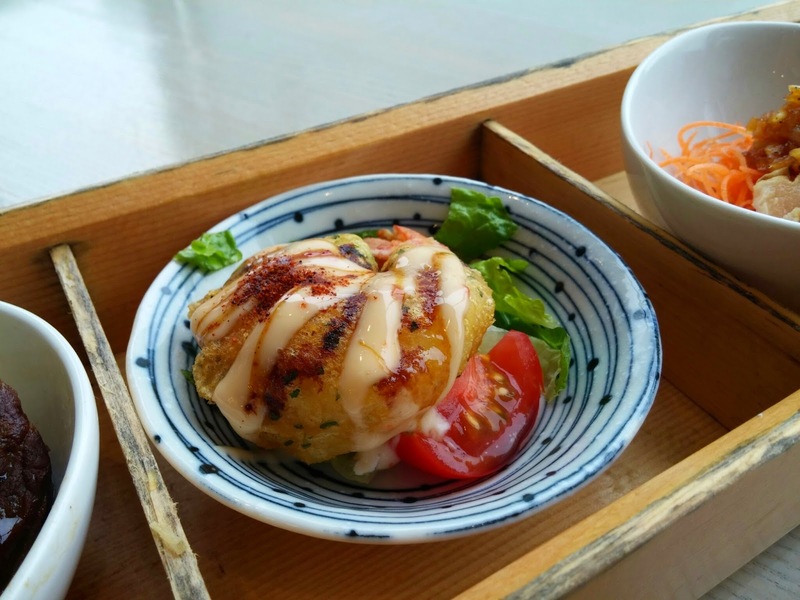 The ebi fritter is fried in a beer batter mixed with what seems like nori (seaweed) sprinkles. The sauce reminds me of chipotle mayo with a hint of curry. The shrimp was fresh and bouncy and the fritter in general did not feel greasy at all. Delicious! The beef shank is probably the most substantial part of this meal that will help fill you up. 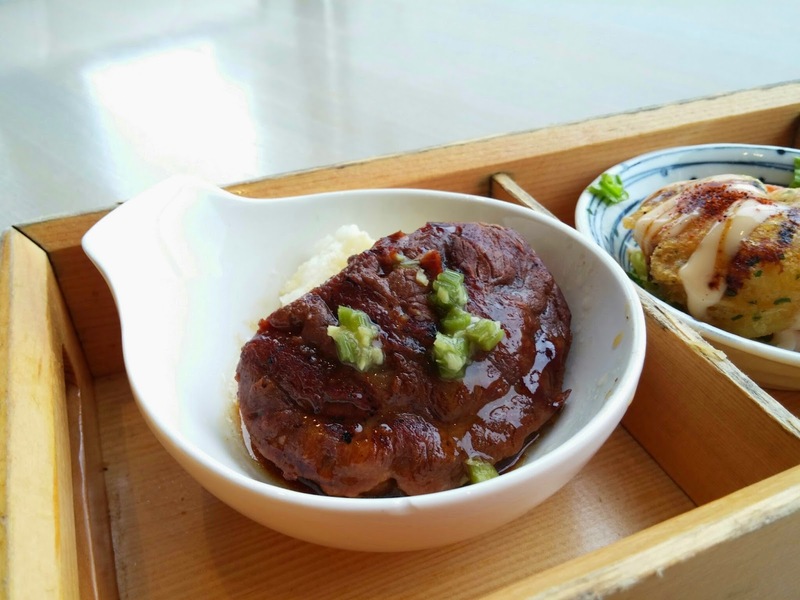 The well-marinated beef was tender and rested on a scoop of mashed potato that could have been more fluffy. 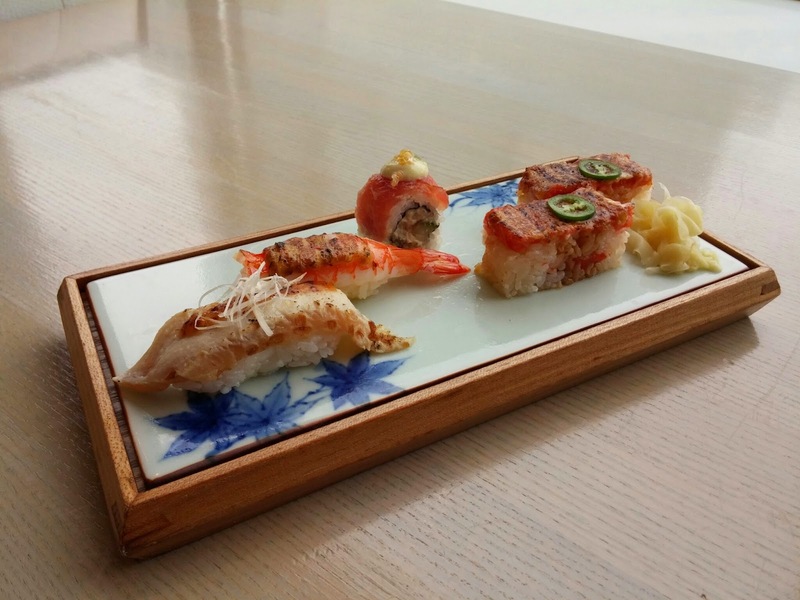 Main course - the main course is a mix of aburi, nigiri and oshi sushi. This is my first time eating aburi sushi and I can definitely see why people like it so much! The hint of fire adds a subtle smokiness. 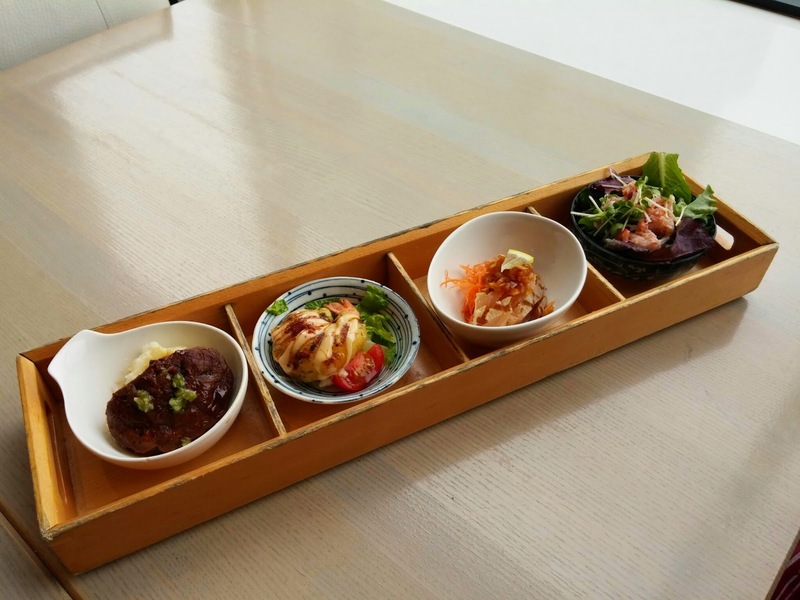 Each piece is already flavoured so there is no need to dip in soy sauce. 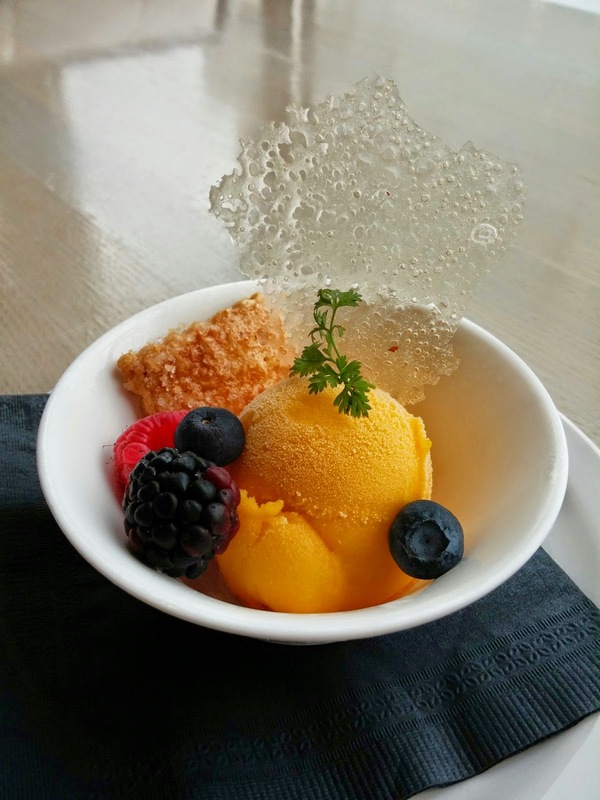 Dessert - mango sorbet with frozen berries and a lemon coconut cookie. The mango sorbet was slightly tarte and quite creamy but not anything you can't find in places that make sorbet and gelato. All in all, we had an excellent dining experience with a great view and friendly service. We arrived at 11:50am for our 12:00pm booking and was lucky enough to get a window seat. The restaurant filled up in the next 10 minutes! So if you want a good seat, arrive early.